Senegal - Where We Work - International - World Education, Inc.
World Education began working in Senegal in 2000, leading a groundbreaking effort uniting community, military, government, and traditional leaders to try to end nearly 20 years of civil war in the Casamance region. In 2005, the Ambassadors’ Girls’ Scholarship Program was launched in country to provide comprehensive education support for girls--particularly those who are vulnerable and likely to drop out of school. 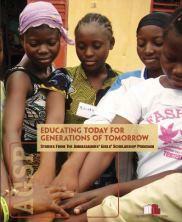 By program end, World Education had provided more than 11,100 scholarships to 7,491 girls and 3,625 boys. Since then, World Education’s focus has expanded to address the needs and concerns of rural women, while continuing peace-building in the conflict-torn Casamance region. 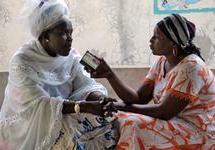 Since 2000, World Education has worked to strengthen the presence of Senegalese women in civil society in the Thies region and the Casamance, training women on the skills necessary to serve as journalists and broadcasters, while also increasing the sustainability and self-sufficiency of local organizations. 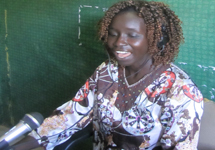 At the same time, World Education has worked to build dozens of community radio stations in the Casamance, through the USAID-funded Women’s Leadership Project. This radio network has become a central vehicle for coordinated operations, social and economic development, and the promotion of peace in the region. Journalists trained by World Education broadcast programs related to a wide variety of issues of interest to communities, especially women, in the areas, including health care, local governance, the importance of girls’ education, harmful aspects of early marriage and pregnancy, and more. This network of community radios has become an increasingly important source of information for the populations of these regions. 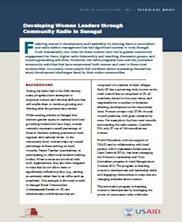 Learn about our recent efforts to introduce mothers' associations to rural schools in Senegal. 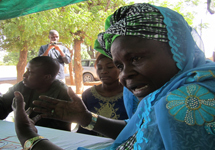 Women's Leadership is strengthening the presence and voice of women in the media as a way to develop community-level leadership roles for Senegalese women. 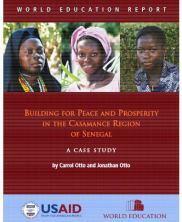 Peace in the Casamance aimed to reduce the threat of conflict and promote peaceful resolutions among communities in the Ziguinchor, Sedhiou, and Kolda regions. Community Radio Network increased the number of radio stations in the Casamance, further promoting social and economic development and peace in the region. 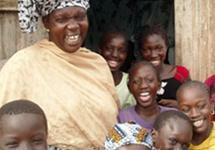 Sokhna Niang knows first-hand how a small financial loan can change the life of a woman and her family. 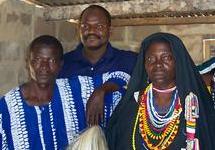 The village of Hannene, Senegal, was without electricity for four days because of a downed wire. When the electric company ignored repeated repair requests, local reporter Amy Hanne took matters into her own hands and reported on the case. Last year, World Education helped 21,000 girls in 12 African countries go to school through the Ambassador Girls' Scholarship Program (AGSP).